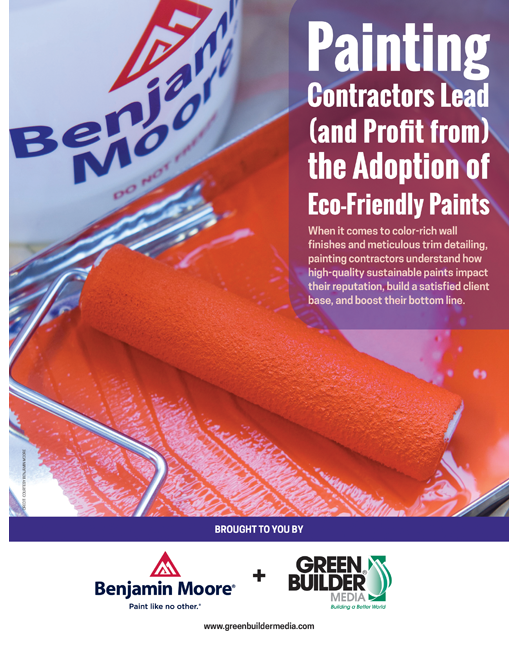 When it comes to color-rich wall finishes and meticulous trim detailing, builders and painting contractors understand how high-quality sustainable paints impact their reputation, build a satisfied client base, and boost the bottom line. 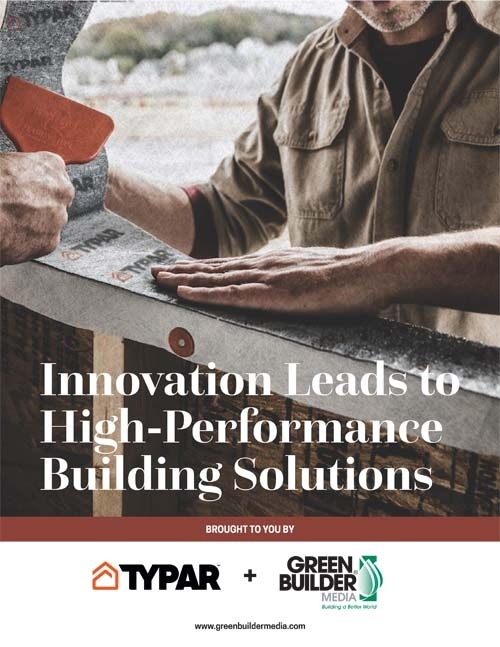 This free Ebook covers the important systems and products that are designed to manage the building envelope, insulation, and indoor air quality. 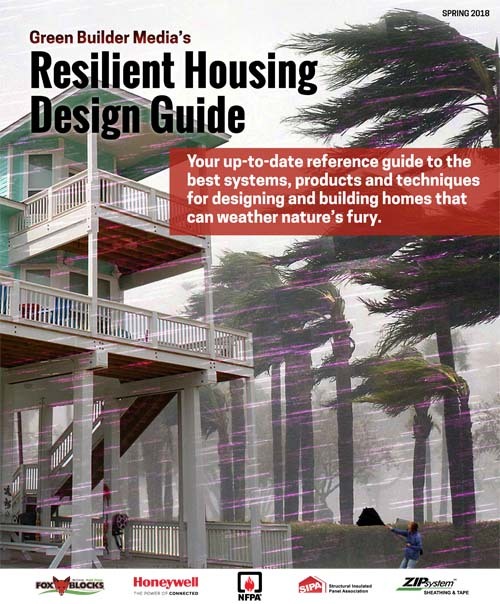 Here's some of the most advanced of these building science concepts being used in new homes today. We need safe havens, homes and other structures that allow us to keep working and dreaming amidst the coming tempests. This book will give you many specific ideas about how to manifest that new reality. In the United States, we take abundant, inexpensive and safe drinking water for granted. But aging infrastructure, urbanization and climate change are taxing our water systems, and costs are rising, too. 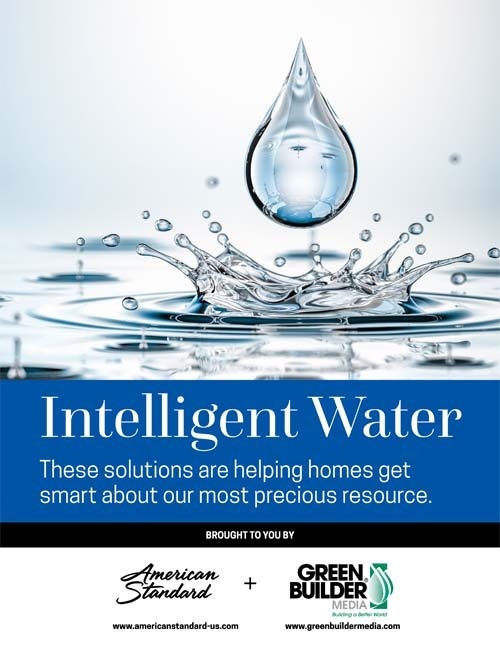 This ebook outlines several strategies building professionals can use to make better use of our most precious resource and distinguish their projects as water wise. 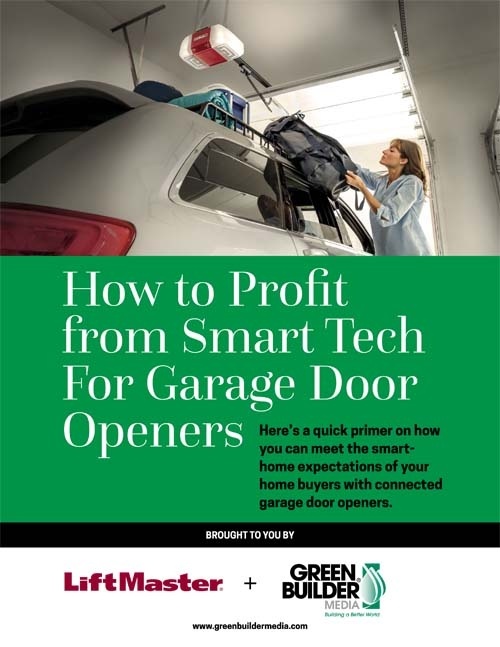 This quick-read Ebook explains how LiftMaster offers smart-home solutions for everyone, from budget-conscious buyers of starter homes to more established buyers who are looking to outfit their “forever home” with the best--and how builders can profit from it. 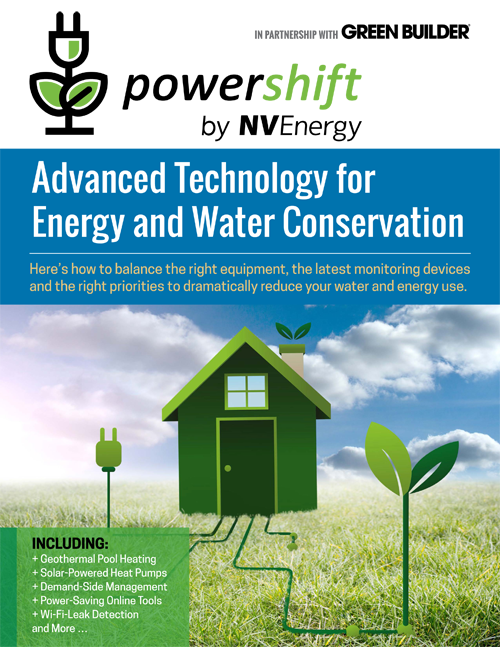 This new resource details the convergence of residential solar and smart home tech and shows how solar delivers utility savings and increased resale value for today’s homeowners. 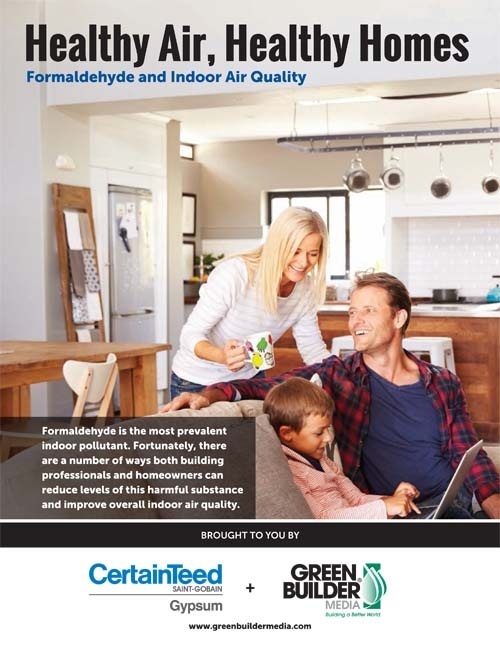 Formaldehyde is the most prevalent indoor pollutant. 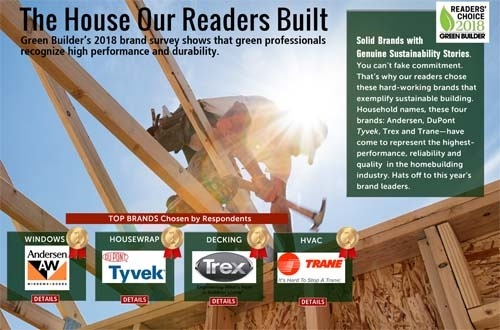 Fortunately, there are a number of ways both building professionals and homeowners can reduce levels of this harmful substance and improve overall indoor air quality. 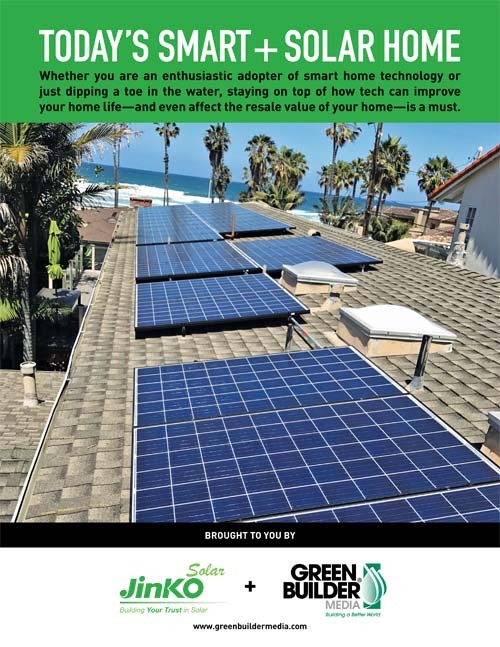 The 9 most common solar myths debunked. 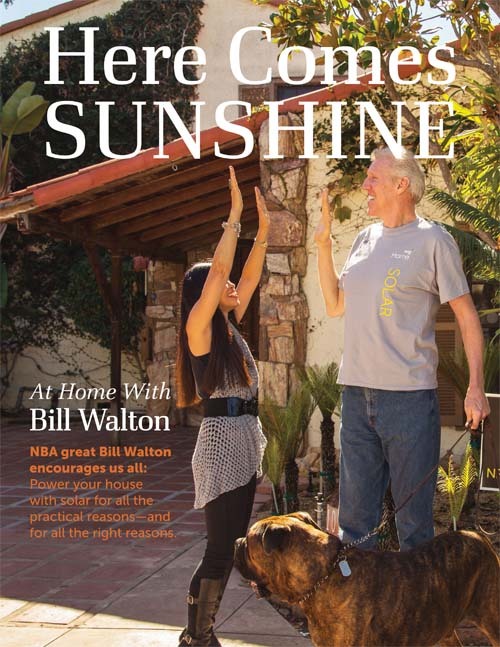 Plus, information on flexible solar programs and how they work; exclusive photos and a video of the solar install on Bill Walton's home; facts on how solar can provide energy for your family during an emergency, and insight and tips from people who are enjoying life with solar power. 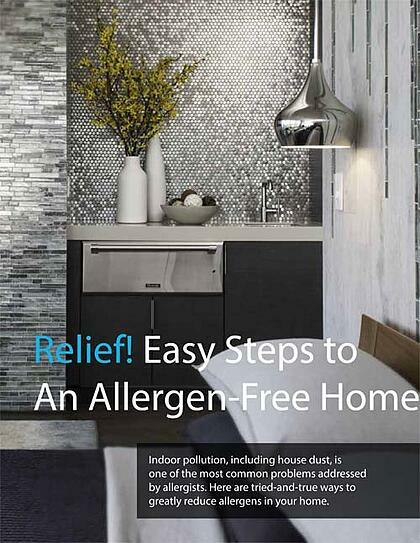 This free Ebook on Indoor Air Quality will give you 9 Tips For An Allergen-Free House as well as pointers and benefits for installing central vacuum units in your new or retrofit projects. 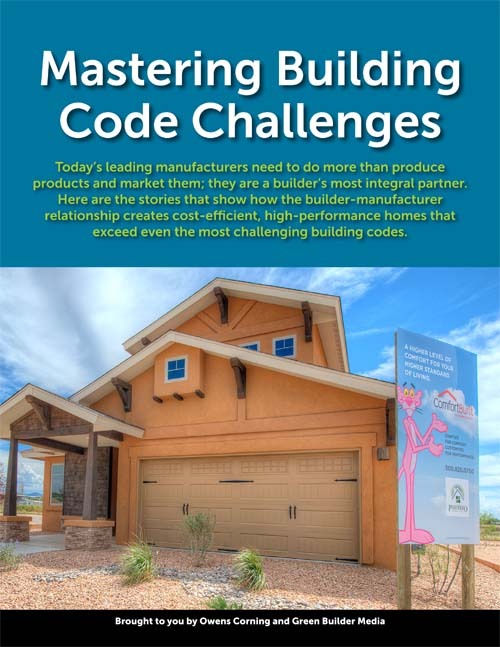 Download this complimentary eBook and learn how the builder-manufacturer relationship can work seamlessly to create cost-efficient, high-performance homes that exceed even the most challenging building codes. 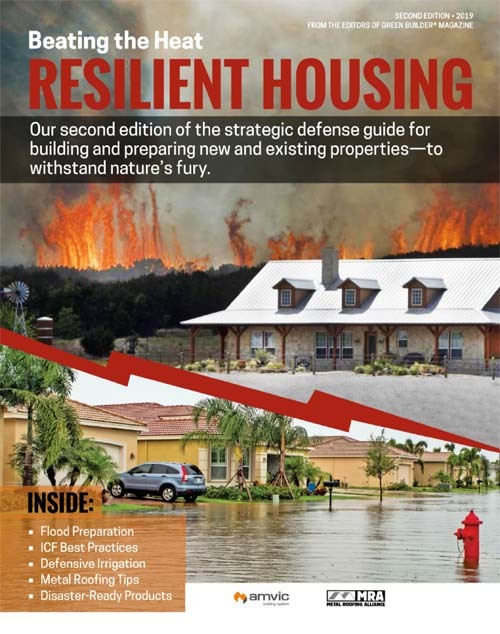 In this free downloadable Ebook the National Fire Protection Association will give you tips on how to build more resilient homes and communities using Firewise best practices. 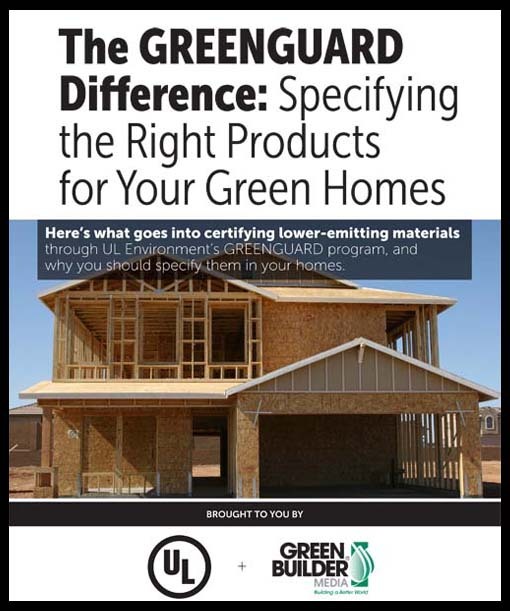 This resource from UL Environment will help builders and manufacturers educate about the importance of healthy, sustainable homesand empower homeowners to make the right choices when it comes to their homes and the health of their families. 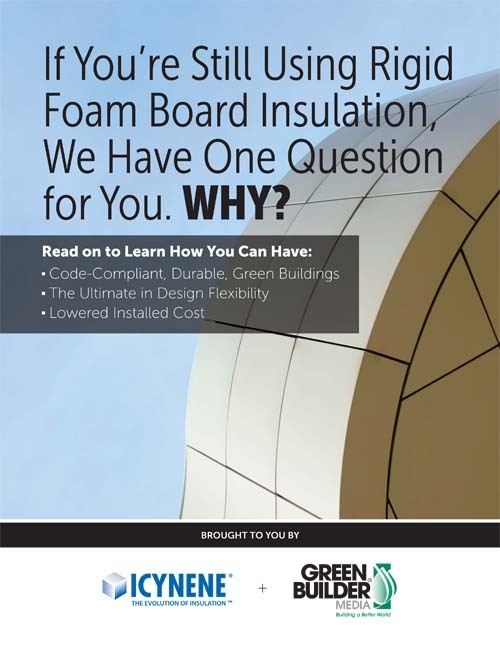 Icynene and Green Builder Media have teamed up to create this free resource on the benefits of spray foam products in continuous insulation applications and how they can help you design and build code-compliant, durable, efficient commercial buildings. 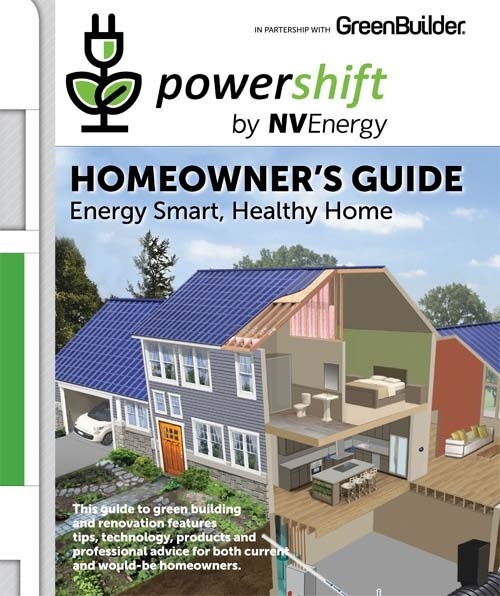 For Nevada builders and residents, a Homeowner's Guide from Green Builer Media and NV Energy. 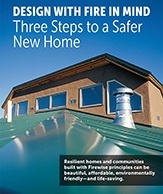 Help your homeowners understand what a green home is with this easy-to-navigate green building and renovation guide. 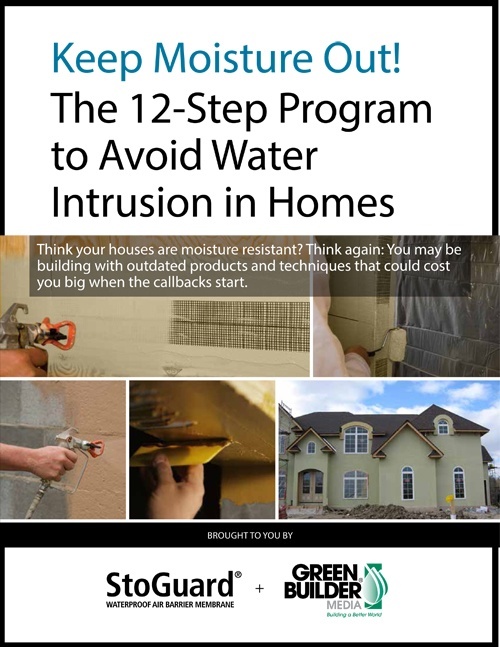 Sto Residential offers this Ebook on the 12-Step Program to Avoid Water Intrusion in Homes. 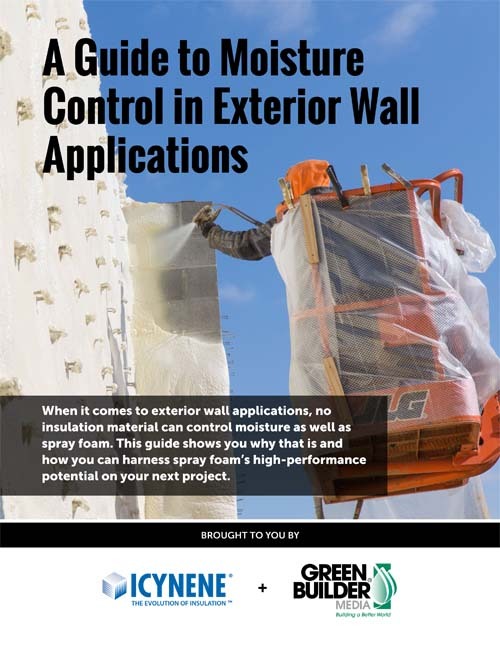 This free guide will point out 12 critical details for air and moisture management, offer case studies, show how to reduce time it takes to seal a home, and much more. 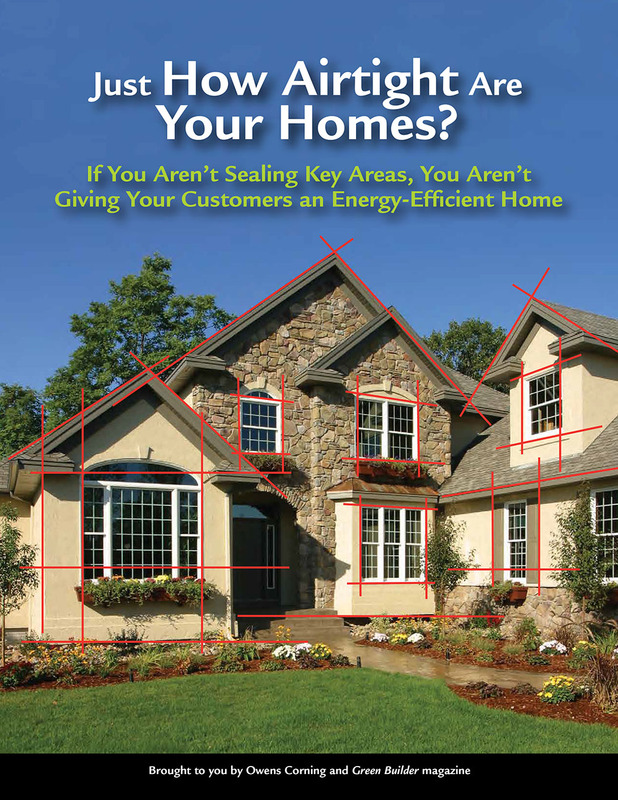 In this Ebook from Owens Corning you'll get the results of recent ground-breaking research on the most important joints/openings in a residential structure, priortizing each in terms of the cost to seal it. 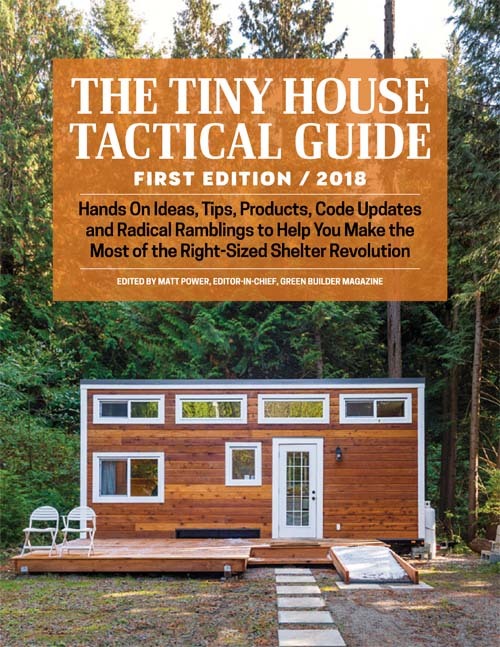 Download this free resource today! 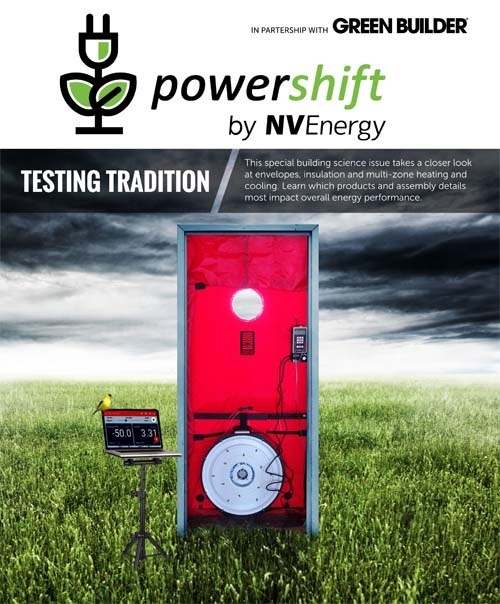 It offers building science advice, taking a closer look at envelopes, insulation, and multi-zone heating and cooling. 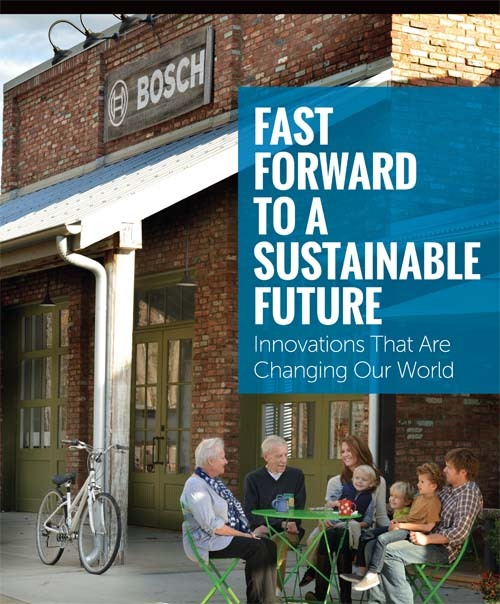 Plus, it showcases the products and assembly details that most impact overall energy performance.